Just one perfect video in my opinion! 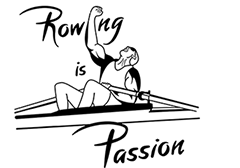 Check out this nice rowing video. The importance of the balance between a highly demanding sport, its training camp and the mind of the athlete. When all these three aspects come together in perfection, only one word expresses the expectations: Excellence.This film shows the Norwegian Rowing Team training in Alentejo, Portugal, at the Hotel Vale do Gaio (valedogaio.com). Filmed and edited by André Braz and Gustavo Figueiredo.